"Rag Car", "Duffle Coat", "Running Tent", "Runaway Tubes" - all these nicknames mean the same - the historical Velorex. Originally manufactured in small series by the Stránský Brothers (the factory was later nationalized), Velorex was intended as a vehicle for the disabled. Several exhibition pieces of this vehicle that have been preserved can be seen in one of the garages in the castle courtyard. This exhibition is arranged in cooperation with the owner of the Velorex cars - Mr. Bernášek from the Villa Barbora restaurant., www.vilabarbora.cz . 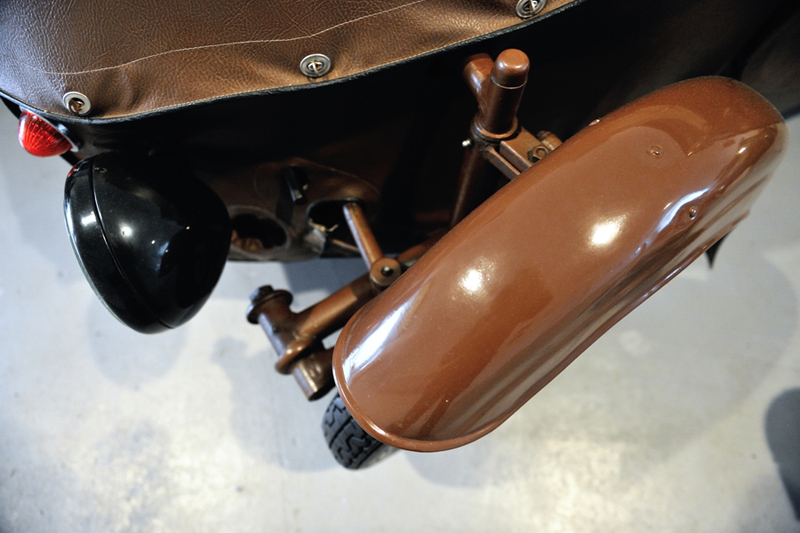 The main goal of these trikes was to meet the market demand for a higher safety level and for higher comfort. The indisputable advantage of these vehicles if compared with motorcycles and cars was their more economical operation, maintenance and, last but not least, their lower price. 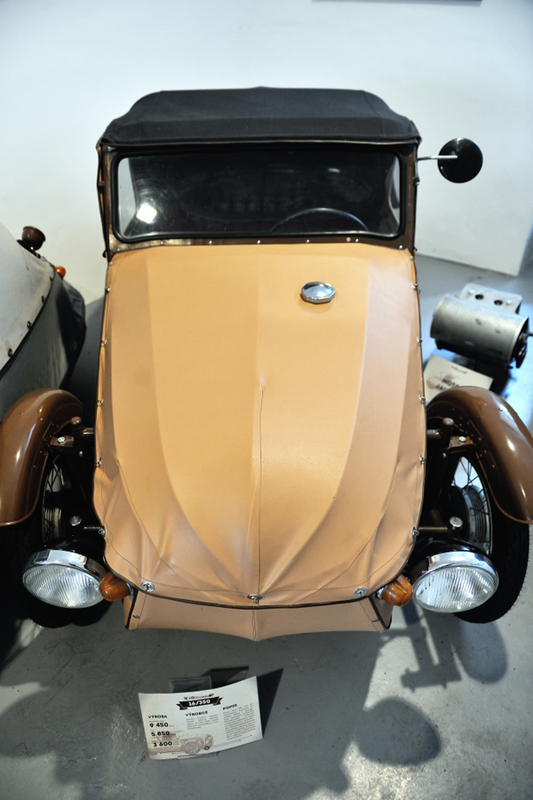 Shortly after the 2nd World War, demand for small vehicles such as BMW, Zundapp or Messerschmidt skyrocketed. In then Czechoslovakia, the first prototype was manufactured in 1943 in a workshop that belonged to the Stránský Brothers. 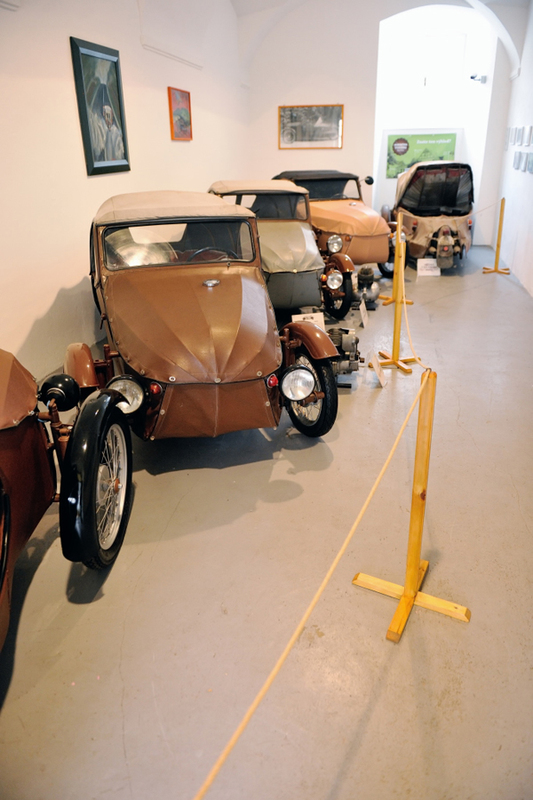 The frame of the three-wheeler was based on a tube design covered with a thin duralumin sheet. The rest was assembled from motorcycle spare parts and the vehicle was named OSCAR. The demand for any vehicles that followed at that time caused this model to be produced in series and, in 1951, the manufacturing plant was moved to Solnice v Orlických Horách. In November, 1971, production of the three-wheel Velorex cars was discontinued.